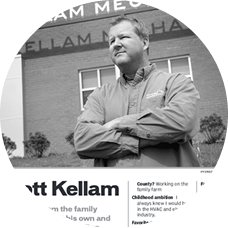 Read articles appearing in the Virginian Pilot about Kellam Mechanical! Since 1995, Kellam Mechanical has been providing heating, air conditioning, electrical and repair assistance to the Virginia Beach area. Today, we had a chance to talk with Scott Kellam, President of Kellam Mechanical, about the services his company offers, and the approach to business that has helped establish them as a top choice for area residents. 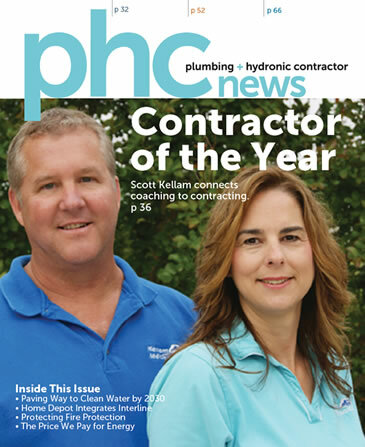 Scott and Sarah Kellam featured on the cover of PHC News magazine! Read the article featured in the December 2016 issue to learn why the Kellam’s were chosen to receive the PHC Contractor of the Year award. Click here to read! Leaders who understand the importance of their team cohesively maneuvering the demanding, vastly changing trades tend to stick out. They also understand the value of inspiring best performances, which is where meetings, training and constant tweaks to processes come in hand. But especially in the business of mechanical contracting, which encompasses various rotating parts, teams require the right direction. 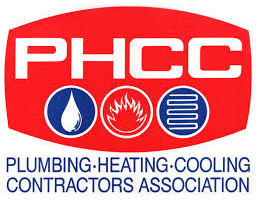 Scott Kellam, owner of Kellam Mechanical, a 20-year-old full-service company, is one such leader on the mechanical turf, which is why he was selected as PHC News’ Contractor of the Year. Kellam and his wife, Sarah Kellam, operate Virginia Beach, Virginia-based Kellam Mechanical in a “divide and conquer” fashion. Scott Kellam handles the helm of tech management and customer service, while Sarah is responsible for office management and marketing duties. Yet, like most power couples, they bounce energy and efforts off one another. Though we each have areas that we focus on, we help each other with everything,” Scott Kellam says. The Kellams are responsible for creating a company that sees effective coaching and inclusive training processes for what they are — successful. This manifests in the form of anything from role-playing to critiques. 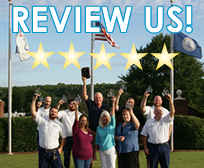 The company integrates its training processes, inviting manufacturers or reps to be part of company-wide meetings. Toolbox talks and vendor education contribute substantially to technician confidence.  Read more in an article featured in the Virginian Pilot’s Beacon section on 03.26.09. 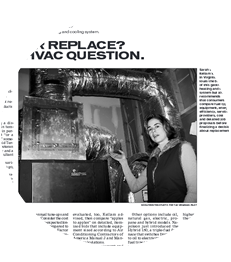 Sarah Kellam of Kellam Mechanical in Virginia Beach touts the benefits of this geothermal heating and cooling system but also recommends that consumers compare fuel types, equipment, energy efficiency, service providers, cost and detailed job proposals before finalizing a decision about replacement.  Read more in an article featured in the Virginian Pilot’s Beacon section on 03.05.11.  Read more of this article featured in Chester County Homes magazine on January 21, 2014 . Read about Kellam Mechanical in a featured article courtesy of Village News Magazine!  Click here to read.